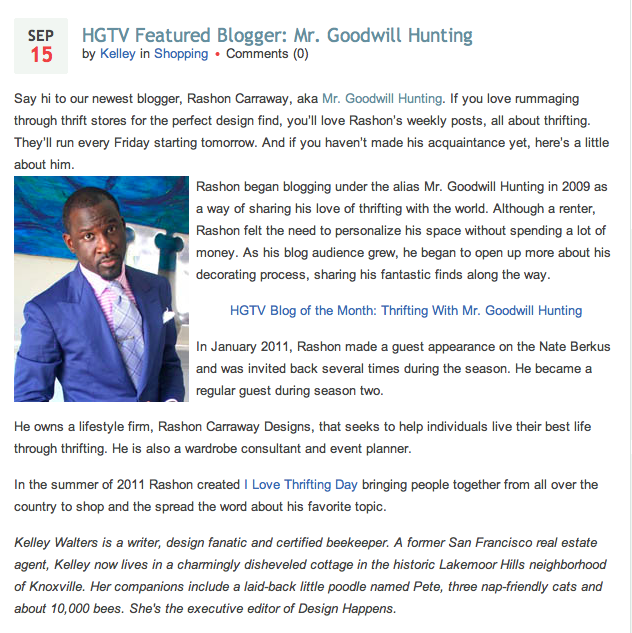 as you can see, i am the newest blogger for hgtv.com. i am very excited to join their team and give even more thrifting goodness to everyone. i have a few posts already scheduled and i will update everyone when my they go live. expect some very good tips, a few stories and some wonderful images. i will see you here and at hgtv.com!